So goes the chorus of the Charlie Rich sixties Mod anthem but what is it about a mohair suit that brings a feeling of absolute sartorial elegance to the wearer? Mohair – the very word has an exotic ring to it! To anybody who came of age in the sixties it conjures up a picture of the ultimate in male chic. Of nights spent absorbing the sounds of black America in seedy clubs whilst attired in the iconic symbol of a generation – the mohair suit. Just what is mohair? And how did it come to represent the ultimate in Mod chic? 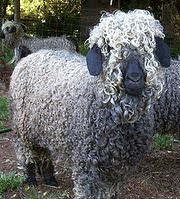 Mohair is a fabric made from the hair of the Angora goat. The Angora goats are thought to have evolved originally from Tibet but came to Turkey in the 16th century. The goats were later introduced into USA in the mid nineteenth century and the US is now the one of the world’s main producer of mohair along with South Africa and Turkey. As material mohair has been in demand for much longer and there is evidence that the pharaohs of ancient Egypt wore clothing made of mohair. 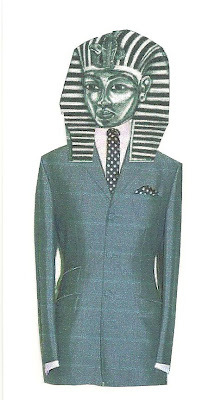 So King Tut was a Mod?!!! It is known that mohair was introduced to Britain in the 8th century and during the industrial revolution the mills of northern England became the world’s leading exporters of mohair. The material itself has a wonderful sheen which no doubt contributed greatly to its popularity as suit material. Being lightweight, wrinkle and moisture resistant meant that mohair suits were the ideal fashion accoutrement for the sixties Mod who spent his nights in sweaty clubs dancing the night away. It is difficult to determine exactly where and how the mohair suit became de rigueur for a generation of British teenagers. Undoubtedly the wave of ‘cool’ jazz musicians that emerged in the formative years of what became ‘sixties pop culture’ had a major influence. Artists such as Charlie Parker, The MJQ and of course the ubiquitous Miles Davis were all to be seen sporting mohair suits. Italian style was also an influential factor in the development of the Mod look. Innovative clothing outlets such as Cecil Gee had been championing Italian styled suits since the late fifties. Short ‘bum freezer’ three buttoned jackets and tight trousers often in mohair were a staple of their shop windows. 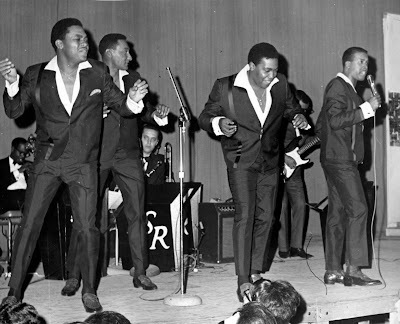 Early Mod musical heroes such as the Drifters, Wilson Pickett, Impressions, Temptations and Four Tops all appeared in publicity shots clad in mohair. 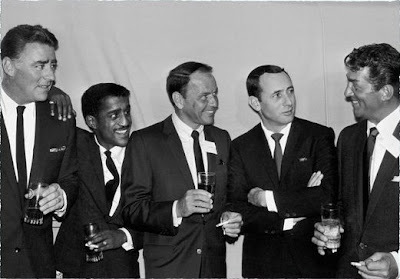 Whilst by no means influential in regards to their music it had to be said that even ‘The Rat Pack’ looked pretty ‘cool’ clad in shimmering mohair suits! The influence of television should not be underestimated also. By the turn of the sixties the ‘box in the corner’ had become a welcome addition to many households. 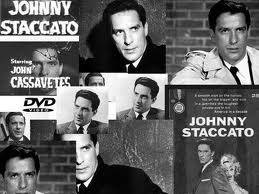 Early American TV series such as ‘Route 66’, ‘77 Sunset Strip’, ‘The Naked City’ and ‘Johnny Staccato’ all featured the heroes decked out in sharp clothes. ‘The Naked City’ and ‘Johnny Staccato’ in particular were relevant to the emerging Mod penchant for the mohair suit. The Naked City starred Paul Burke as detective Adam Flint. Impeccably dressed with a button down shirt and tie and always wearing a suit often made of mohair complemented with a narrow brimmed trilby, he cut a fine figure. His sidekick (played by Horace McMahon) often sported a ‘pork pie hat’. Between the suits, shirts and hats it is easy to see how young Mods to be could relate to the characters. Back in the clubs of London’s West End the burgeoning Mod movement wasted no time in noting the advantages of this wonderful new material and soon small bespoke tailors all over the capital were being besieged by young Mods wanting to acquire their own unique suit made from mohair. Although the ‘mohair suit’ came to be viewed as an item of Mod uniform in the same way as the parka, in reality nothing could be further from the truth. Far from being uniform every suit was tailored to the individual in so many different ways. Every mohair suit was made to precise requirements with regard to styling. The only common ‘thread’ was the material itself (I cannot believe I just used that phrase!). The style of the jacket was normally fairly uniform in length but in every other respect no two were the same. The number of buttons on the cuff was normally three or four but I know of some individuals who opted for five as a mark of individuality. Two, three or four inside pockets were fitted according to taste. Jacket vents were almost obligatory. The single vent was very popular and lengths varied from six inches up to fourteen inches in one case that I know of (the guy’s suit looked pretty grotesque to be honest!). The number and type of pockets was very important and normally consisted of two standard pockets and one ticket pocket (although two ticket pockets were not uncommon). Pockets were usually slanting and the degree was again a matter of personal choice. The width of lapels had to be determined. Was a buttonhole required? Even the type of buttons was important. Buttons came in different colours and materials or maybe cloth covered? And let us not forget the lining! Silk linings were very popular and colours were many and varied. Often in a darker or lighter shade of the material colour but often a complete contrast was used to great effect. Trouser widths were fairly slim and usually between twelve and fourteen inches and never more than sixteen! Two waist pleats were fairly common but again very much left to personal taste. Side adjusters were often fitted. A small waist fob pocket was normal sometimes often with a buttoned flap. Rear pockets were usually a standard requirement and again a buttoned flap was quite popular. The length of the trousers was very important. When standing upright the trousers should just touch the throat of the shoe – just the right length to show enough sock without ‘flapping in the wind’. At various periods small refinements were added to trousers. Stepped bottoms were an option at one point – where the rear sections of the trouser legs were ‘stepped’ down between a half and a full inch. Another variation were small ‘vents’ up to an inch long at the bottom of the seams. Finally there was the matter of the material itself. Mohair came in a variety different mixtures and colours. Mohair suits were normally available in two or three ply signifying the number of yarns or cloths used to manufacture the material. Mohair was often mixed with worsted or polyester to produce a different finish. Sometimes different coloured yarns were combined to great effect resulting in the ‘two tone’ effect. Two ply, three ply and Tonik were the most popular types of mohair with Tonik being the piece de resistance. 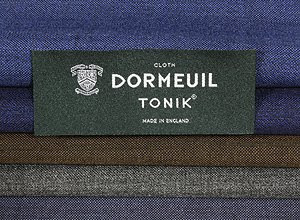 Tonik was actually a material produced by fine cloth manufacturers Dormeuil. Dormeuil itself was founded in Paris in 1842. They specialized in supplying finely woven fabrics sourced from around the globe. In 1926 they centered their operations at Dormeuil House, just off Regent St and in 1957 they introduced Tonik mohair to the world. Basically a three ply mixture of mohair, the secret of their success lay in the purity of the raw materials they sourced. With a reputation for producing ‘the world’s best clothes’ Dormeuil Tonik mohair was the Holy Grail for any discerning young Mod. The material itself was only half the equation, of course. Just as important was the choice of tailor. 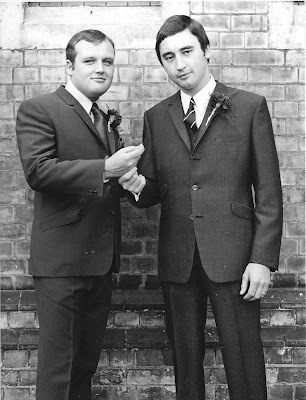 All over the country small cornershop tailors (usually Jewish) were the preferred choice of young Mods in search of tailored perfection. Although it was possible to have a suit ‘made to measure’ at High Street chain stores such as John Collier and Burtons at a cheaper cost than a small bespoke tailor, the thought of faceless factory cutters and machinists ‘knocking up’ countless suits on piecework was no substitute for the loving care afforded by the smaller tailor. Being born and brought up in Islington, North London we had a plethora of good quality Jewish tailors within a stone’s throw. Bert Klass at the Archway was pretty good but by far the best was Aubrey Morris at Highbury Corner. Aubrey Morris had a little shop on a small parade at the bottom of Holloway Road, below what was once the ill fated Tempo nightclub. The exterior belied the treasures that were held within! A large cutting table in the centre of the shop was surrounded by bolts of cloth piles to the ceiling. Every hue and type of material was to be found although only Aubrey himself knew exactly where! A small bespectacled man, Aubrey Morris was the archetypal ‘Jewish’ tailor. Assisted by his son, he worked at breakneck speed with a dexterity and eye for detail that was hard to match. 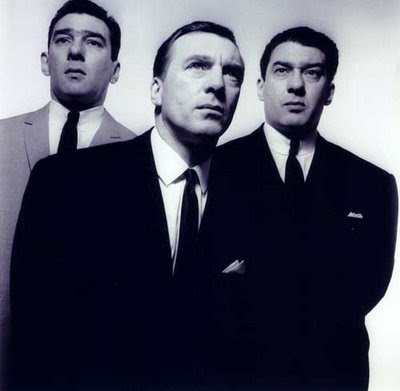 He was not shy in telling the world what a good tailor he was and would regale clients with stories of how well known local figures such as Chris Farlowe, The Equals and members of the Kray ‘firm’ had all been in to get measured for suits. We tended to take his tales with a pinch of salt but I had the opportunity a couple of years ago to ask Chris Farlowe if he remembered Aubrey and he went off at a tangent describing a ‘wonderful silver grey Tonik suit’ that Aubrey Morris had made for him! Every item made was a labour of love. All his garments were hand finished with beautiful hand stitching that was perfection in itself. Suits always required at least two fittings and could take up to a month to completion after the initial ‘measuring up’. Prices were not cheap and a standard two ply suit would set you back around twenty five guineas! Small potatoes in comparison to todays marketplace but when one considers that the average wage would be around £15 a week and young Mods would probably be getting less than that, then one can appreciate the cost in real terms. There was no way of rushing Aubrey. Endless trip to phone boxes in a vain attempt to hurry things along were always in vain. Then finally the words we had waited to hear – ‘The suit is ready’. The trepidation as we made our way down to Highbury Corner, the approving looks on the faces of friends as the garment was brought down from the rail, and finally the feeling of absolute contentment as the jacket was slipped over your shoulders – a perfect fit! Who could forget the first time they stepped out wearing their new Tonik suit. The envious looks from our contemporaries and the admiring glances of the young ladies! ‘Fast walking, slow talking, good looking’ – You had better believe it! John is also very kindly sharing this tale of his very eventfull Mod years. The first part of his story can be found here. The work is the copyright of John Leo Waters. The views expressed are purely those of the author and are not attributable to any other person or institution.